Companies work really hard to maintain consistency with branding efforts so customers have a similar experience every interaction, regardless of channel. That’s why finding the right marketing voice is so important. Similar to an audible conversation, written copy has a “tone” that often conveys just as much as the copy beneath it. In the process of finding the right marketing voice, two key questions need to be addressed: 1) what does the written tone convey about your brand, and 2) is it consistent. According to a blog by ABC Copywriting, a good way to go about finding the right marketing voice is to personify your brand – meaning, what traits would your brand possess if it were human? Then, determine the top three values this person would have and use those as a model for your tone. Written tone is essentially your brand’s personality conveyed through text, and it should align with your values and mission. Let’s say you have shoe business, and your values are fun, funky, and affordable. A formal tone wouldn’t be appropriate, but coming off as funky could be tricky, too. Since being funky can mean different things to different people, you’ll want to ensure that your readers ‘get you’ and what you are trying to say. 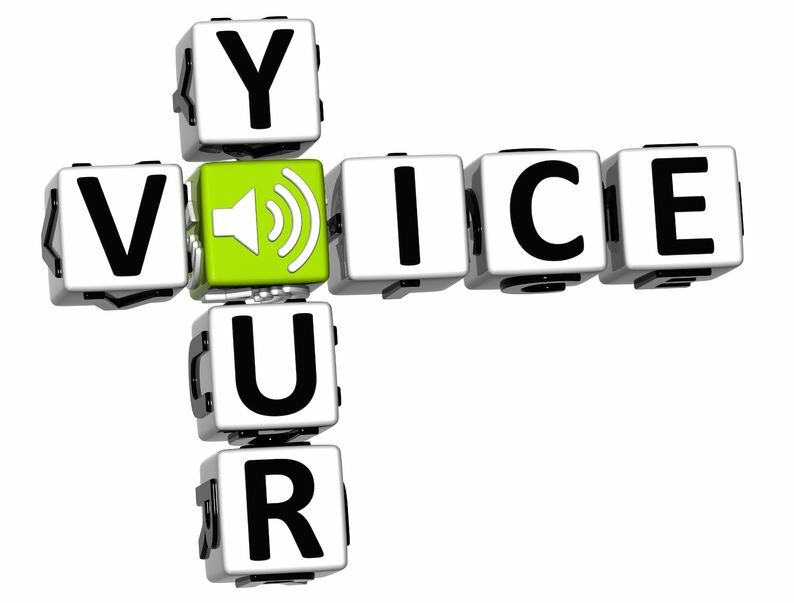 A consistent tone of voice is important in business communications just as it is in personal communications. If we all of a sudden started coming off bubbly and gregarious when we have typically been reserved and formal, people would start to wonder if there is something wrong with us. As humans, we find consistency comforting because it helps us know what to expect. Consistency may even help build trust and is important for an ongoing relationship. Finding the right marketing voice entails being able to effectively address different audiences across various mediums while conveying subtleties such as mood. If you’re ready to see how great copy can get the conversation flowing, give us a call. This entry was posted in Brand, Consistent Customer Communications, Copywriting, Marketing Strategy, Online Marketing, Social Media, Social Media Marketing and tagged brand, build brand value, company brand, consistent marketing, content, content marketing, copywriting, customers, marketing, marketing strategy, marketing voice, social media, Susan J. Campbell Copywriting Solutions. Bookmark the permalink.